Kingdom Hearts 3 isn’t being worked on by the original Kingdom Hearts team. Series creator Tetsuya Nomura himself is busy on Final Fantasy XV. Instead, Kingdom Hearts 3 is being developed by Square Enix’s Osaka studio, the publisher revealed this morning at a Q&A. I freakin' love Kingdom Hearts. Development continues on two of Square Enix's most highly anticipated games, Kingdom Hearts III and the Final Fantasy VII remake. 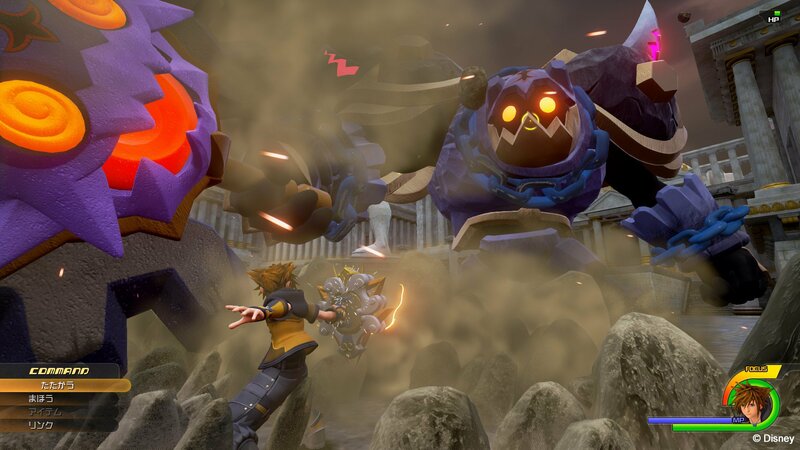 One or both may be shown off in some capacity this year, but the two "still have a way to go" before they're released, according to director Tetsuya Nomura. He discussed the state of both games in a recent interview with Famitsu(translated by Gematsu) in which he indicated we'll still be waiting a while for them. As for Final Fantasy VII Remake, he said, "We're steadily progressing on production. While we are making them, I apologize that the wait will be be a bit longer for Kingdom Hearts III and Final Fantasy VII Remake. I am very sorry, but to that degree I will make a game that will meet your expectations." As Nomura said, there hasn't been much information to be had about either game as of late. That makes sense, given there have been more immediate games from both series--November's Final Fantasy XV and the upcoming Kingdom Hearts 2.8 and Kingdom Hearts HD 1.5 + 2.5 Remix--for Square Enix to focus on. There's also the matter of Remake's sheer scale; it's episodic, but Square Enix has described it as multiple full games, not small episodes. Producer Yoshinori Kitase also previously said 2016 would be a "year of preparations" for the project, which further explains why we've seen so little of it. The two games, which are scheduled for release on PS4 and Xbox One, do not yet have release dates. I thought it was a timed exclusive 'first on PlayStation' or something but I'm not sure. In the absence of news here's a screenshot. You can bring it to life using your imagination. Nobody asked but that Japanese menu says "Attack", "Magic" and "Link". And the greyed out word is "item". Awesome trailer. This game looks so familiar in a good way. Looks fantastic, that trailer came out of nowhere, hope we get a release date (even a release year I'd be happy with at this point) at D23 next month. Just give me a release date so I can do a 1.5, 2.5, 2.8, 3 marathon. Kingdom Hearts is a bit ridiculous for its storyline/numbering/HD rerelease system, isn't it? Ha yeah, I'm doing just the same, waiting for a release date then gonna get through all of them, there is a chronological way to go through them I've seen on the net, I'll probably do that. Toy Story and Big Hero 6, I'm all in on this one! Can't wait to be balls deep in Andy's room! I am worried about this last statement! The song has a nice melody but the music is strange for a jrpg ballad, sounds contemporary I guess... Reminds me of The Eraser haha, Thom Yorke’s album. The gameplay trailer looks amazing but Sora’s face is horrible, those eyes are so weird... The facial animations during the opening cutscene are so awful, and the evil guy he’s talking to, his voice doesn’t even remotely match his face. We were spoiled by Xenoblade 2! But this is Kingdom Hearts I guess, different ball game... Anyway I’m sure the game will be excellent!